Speedy Dirt 2 is unique in design and one of the most distinctive 4WD wheel styles available in today's market. Speedy Dirt 2 is unique in design and one of the most distinctive 4WD wheel styles available in today's market. 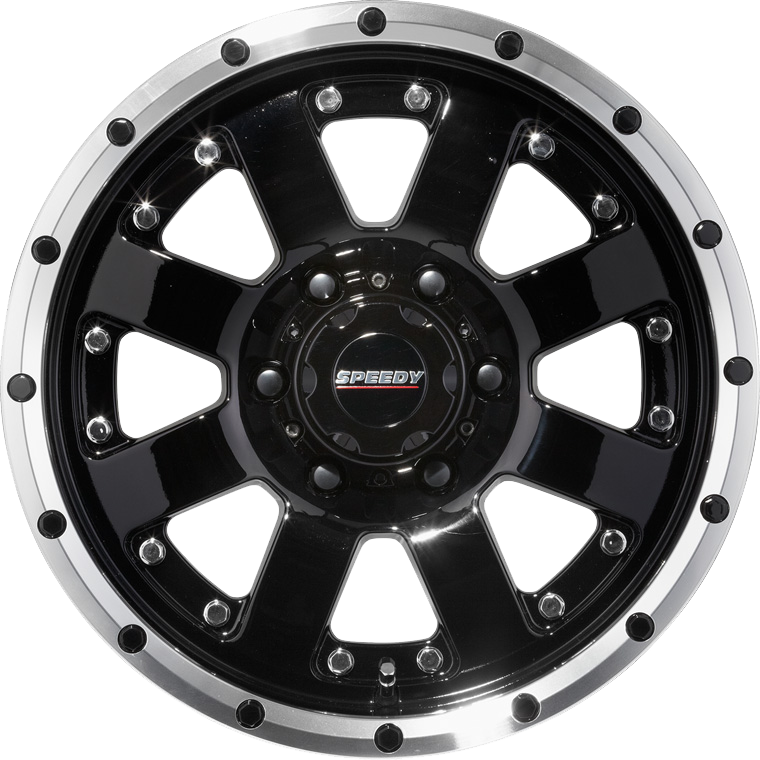 Finished in stunning Piano Black with a Mirror Machine replica bead lock outer lip, the Dirt 2 looks 4WD ready, yet stylish enough to appeal to a much broader market. Available in size 17 x 9.0 to accept wider and specific use tyre applications, Dirt 2 will set any offroader apart from the crowd.